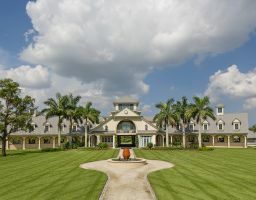 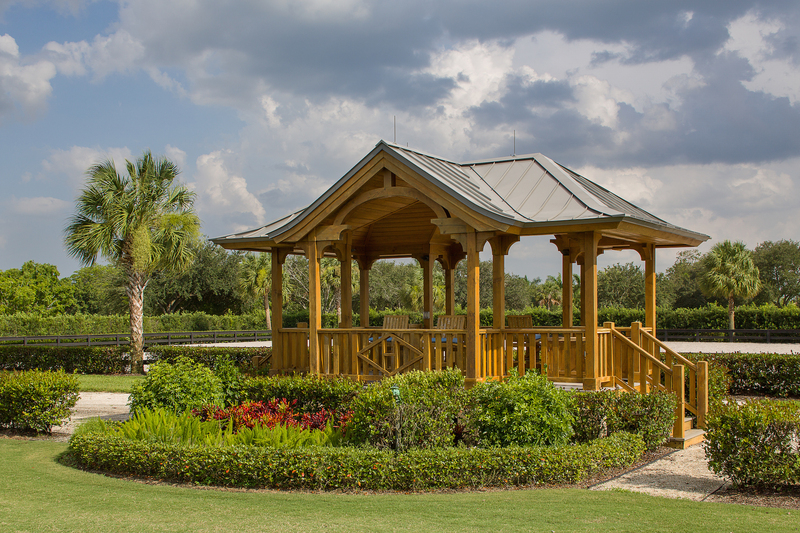 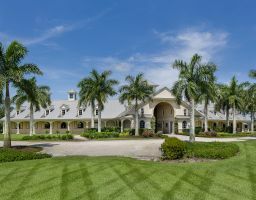 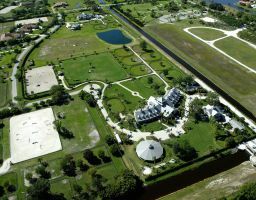 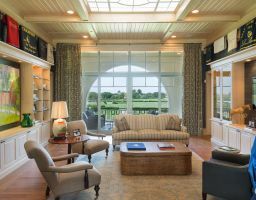 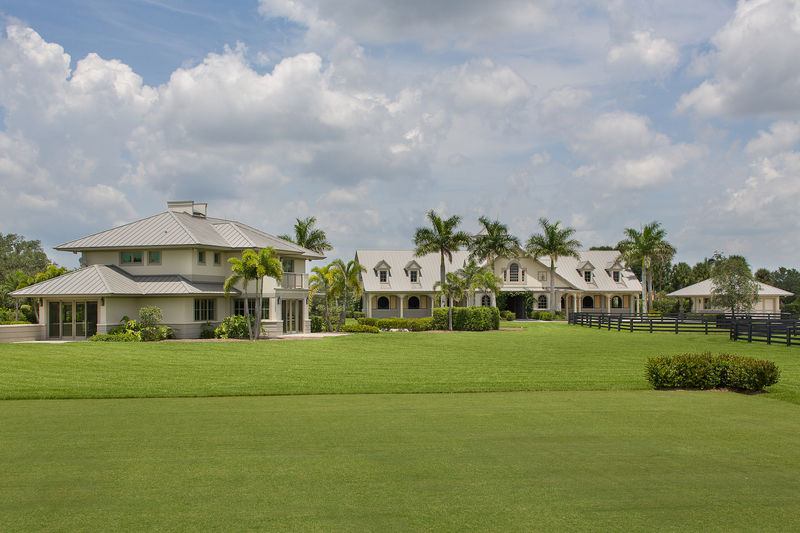 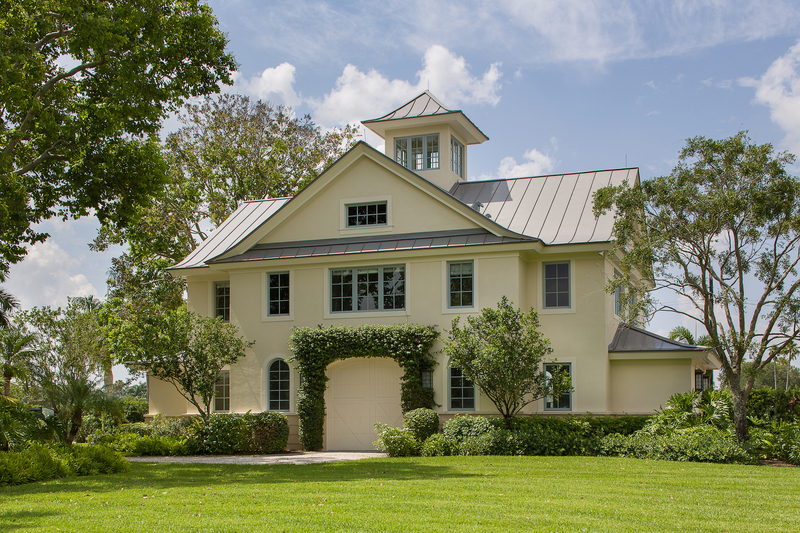 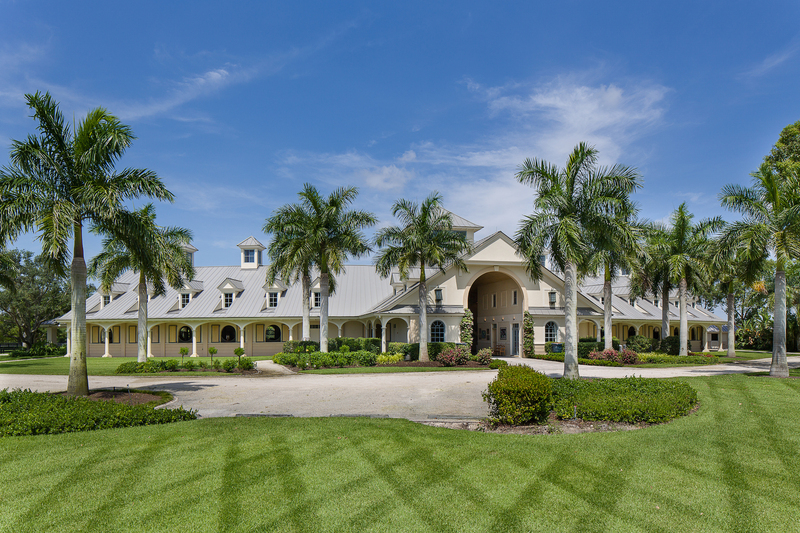 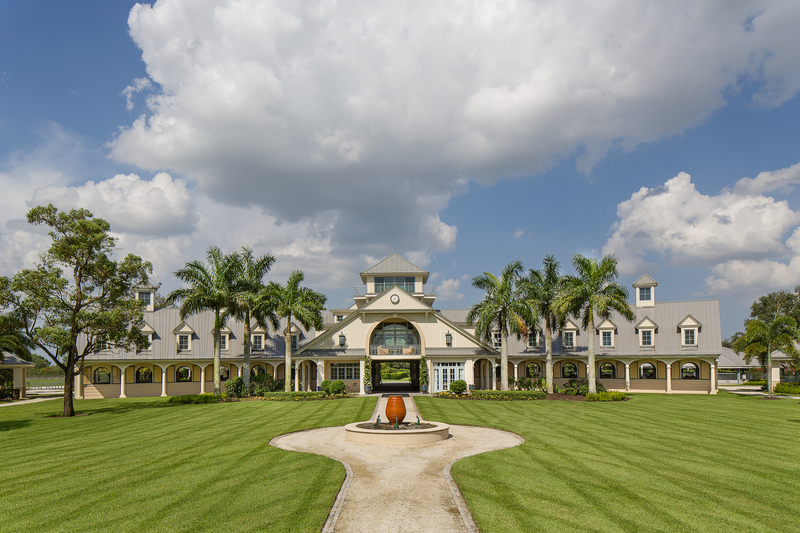 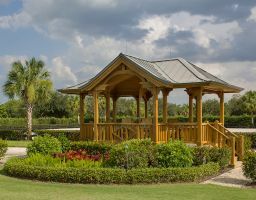 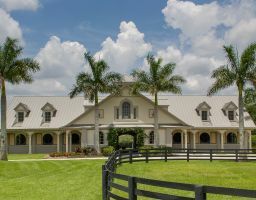 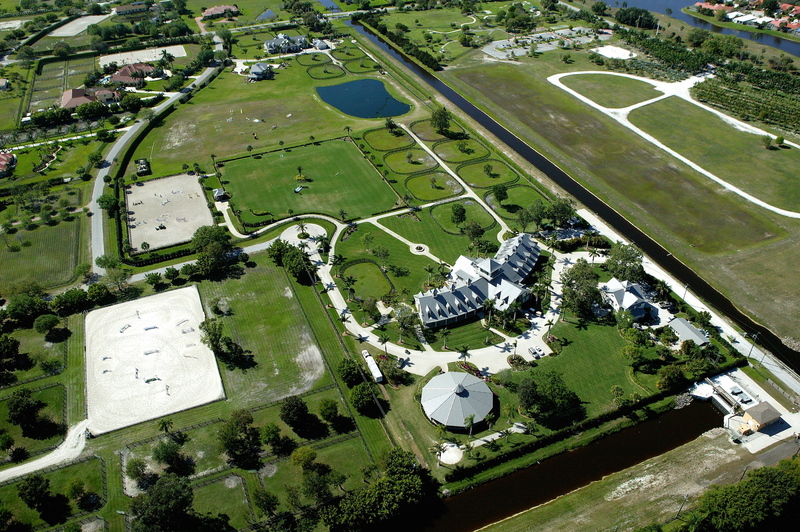 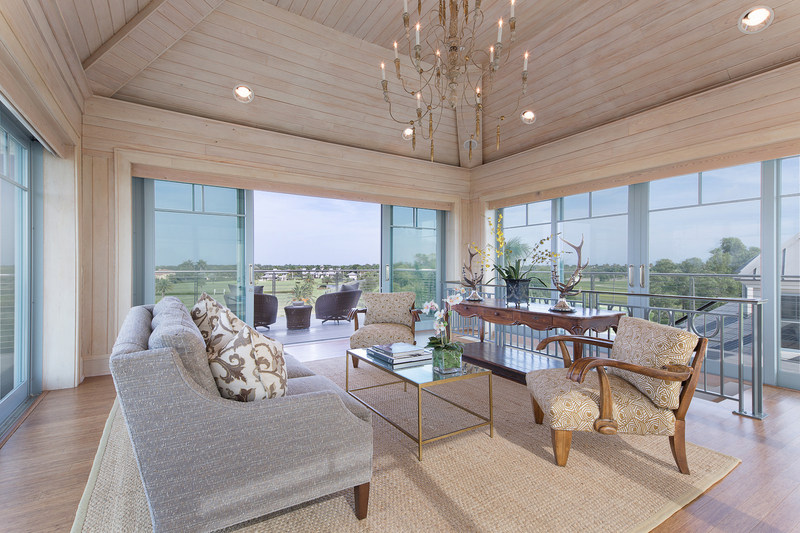 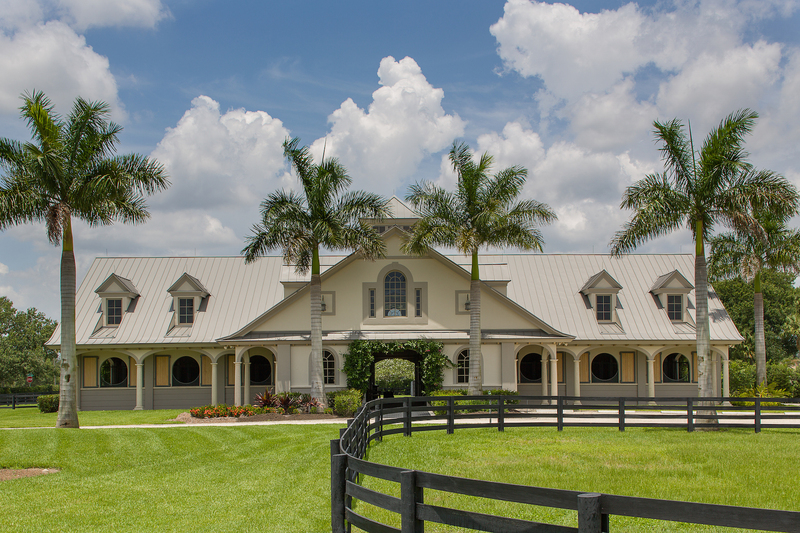 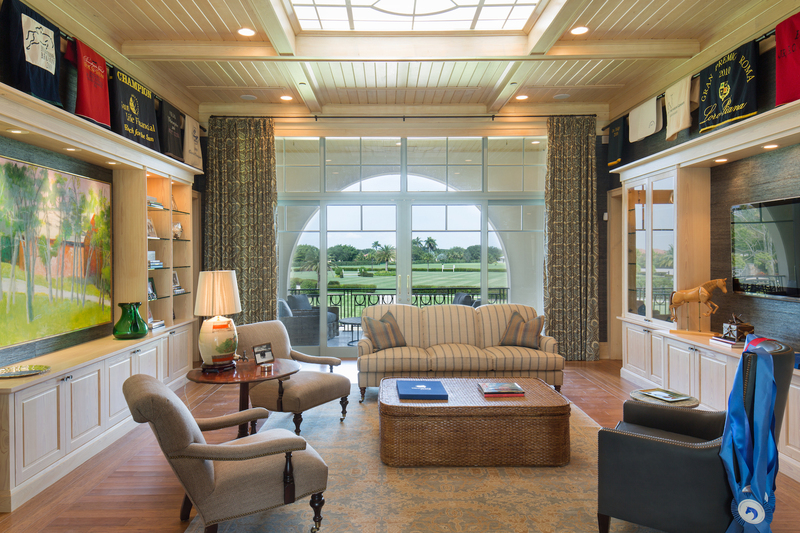 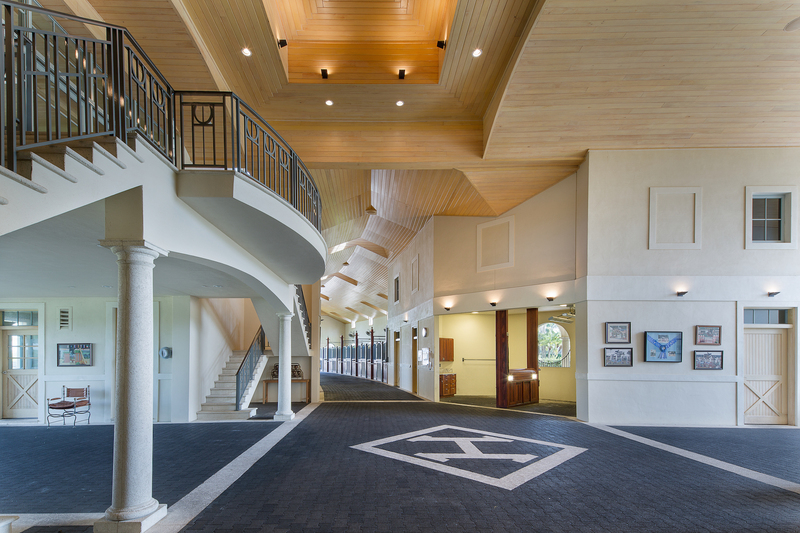 Located at the heart of the intensely equestrian village of Wellington, Florida, this large farm is composed of several stable and support buildings. 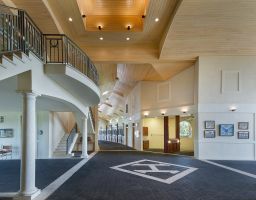 The central facility is a 20-stall stable with extensive support areas, an elevated lounge and terrace, a generous eagle’s nest, and a panoramic viewing platform. 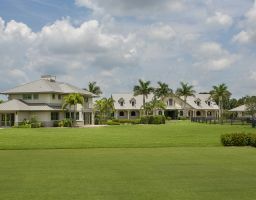 The gently curved shape of the building is focused on the pristine grand prix field at the center of this exquisitely landscaped and groomed property. 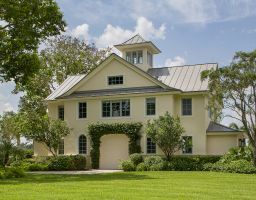 The architecture is classically inspired, with an array of loggias, dormers, lanterns, and many custom designed details.